Bad news first… It’s over. ”Time will get us all, but it has us cornered earlier than I had hoped. Even I started to believe the hype. The 80-minute man. Mr Indestructible. The World Cup in 2019 was the bare minimum for a swansong. I never felt fitter, stronger, at the absolute peak of my powers. Only when the first test against New Zealand kicked off last summer did I accept that a third British and Irish Lions tour had slipped out of reach. The body has never let us down. Until now. You’ll crack an ankle against Clermont in 2010 and play the next week. A Frenchman named Pascal Pape fractures three vertebrae with a snakey knee in 2015 but you return before the Six Nations title is won at Murrayfield. This matters because a fair amount is riding on you dislodging the ball from Stuart Hogg’s arms over the try line. 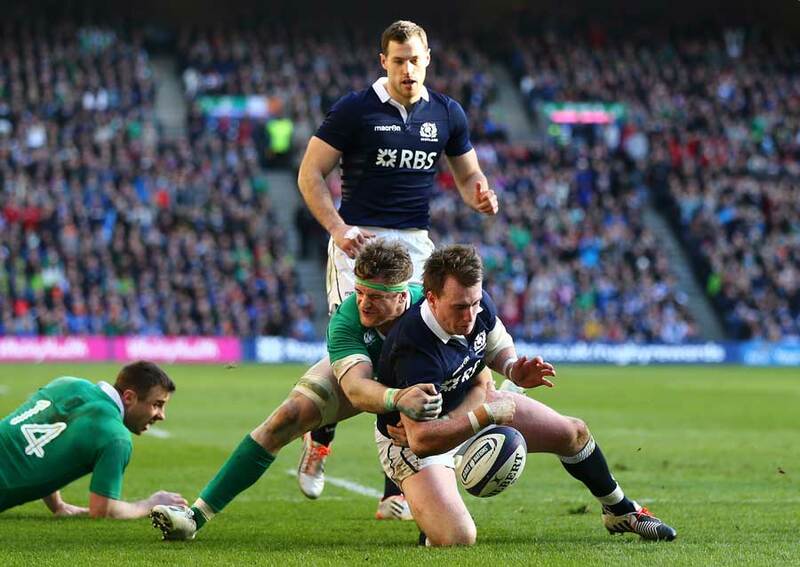 Ireland’s Jamie Heaslip prevents Stuart Hogg of Scotland from scoring a try during the 2015 RBS 6 Nations Championship. Photo Credit ©INPHO/Cathal Noonan. I’ve very little advice for you. Be yourself, everyone else is taken! Ignore most of what Eddie O’Sullivan says (eventually, everyone starts wearing white boots). Never be content to follow the herd. Keep coming at rugby from an unusual angle – that’s our secret weapon. The “Heaslip is too small” tune plays for a few more years. Three wise men – Eddie, Deccie and Warren – deliver a similar message but we get past each disappointment because there’s always something else to aim for. The old man’s words echo throughout our career. We learn the most about Brigadier General Richard Heaslip from people who served alongside him in combat, from cadets he coursed up and down the Curragh as a founding member of the Elite Army Ranger Wing (Irish Special Forces). He tells us nothing! But we know plenty from that time he sorted us with a rolled up newspaper – Jason Bourne style! Collie McEntee in the Leinster Academy offers a compromise – keep the studies afloat and get amongst the Leinster pack a few days a week. It’s 2004/05, Victor Costello’s last season, and Declan Kidney is coach. The professionalism penny drops watching the All Blacks v The Barbarians at Twickenham. Kaino is dominating. We’d just held our own against Jerome in an under-21 World Cup final. That’s my standard! Yet there you are, supping cans in The Pav after a club game. Confirmation follows in the shape of Keith Gleeson. The Ireland openside needs a run after injury so he’ll tog out for Greystones in College Park. Gleeso will clean up but you meet him at every breakdown. 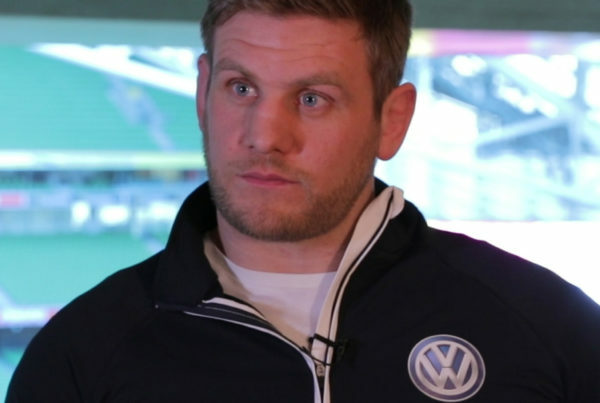 Deccie gives us our first Leinster contract but he’s away back to Munster by the time you tog out for pre-season. Kidney makes you Ireland captain in 2013. I’ll get to that. I’ve always liked Deccie. He let us sleep in our own bed when we were in Ireland camp. Don’t tell anyone or they’ll all want to be sneaking home. 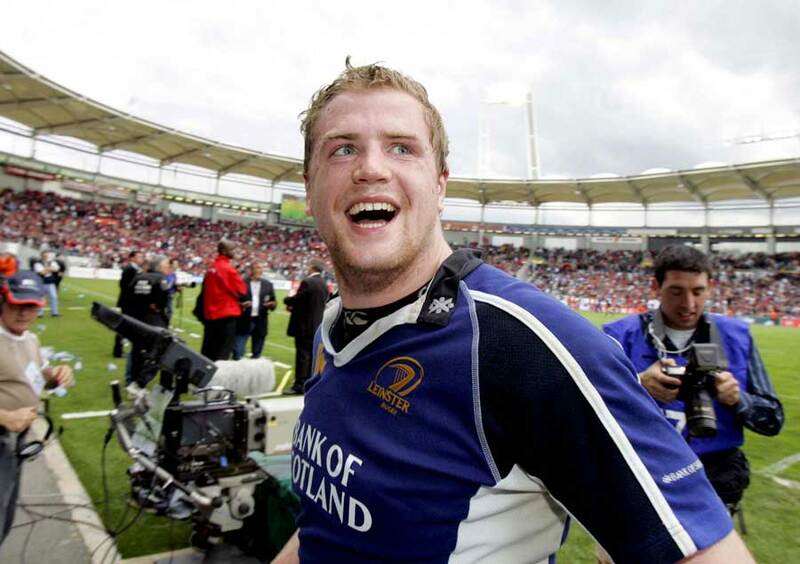 Jamie Heaslip shows his delight after beating Toulouse. Photo Credit ©INPHO/Billy Stickland. 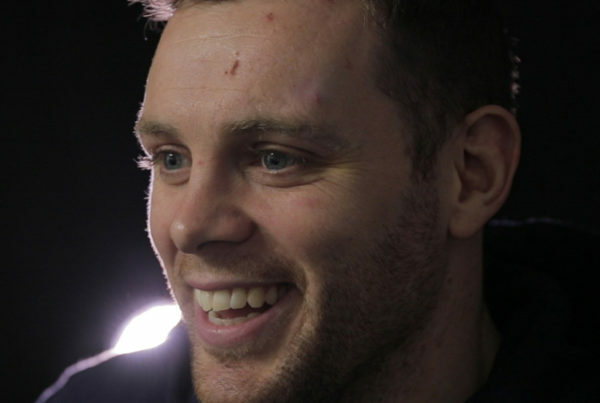 For twenty-five matches in that first season you are Leinster’s starting Number Eight. I remember being spoiled in the early days by Denis Hickie, Mal O’Kelly and Gleeso showing the road a player must travel in order to survive. You’ll have fun along the way. It’s in your nature. As soon as the key turns in the ignition professionalism stalls. Tuesday pints. Saturday pints. Win or lose on the booze. ”You need to live this way to learn how to become the player that gathers 100 caps. A clean ton. You need to suffer, that will happen too. Joe will take the Ireland captaincy off us – twice – but sleep easy, my friend, because good times follow bad days. We build a blue dynasty (and help to rebuild it) as all of us at Leinster mould a value system that creates the trophy winning culture. You finish a one club man playing alongside your family of brothers. 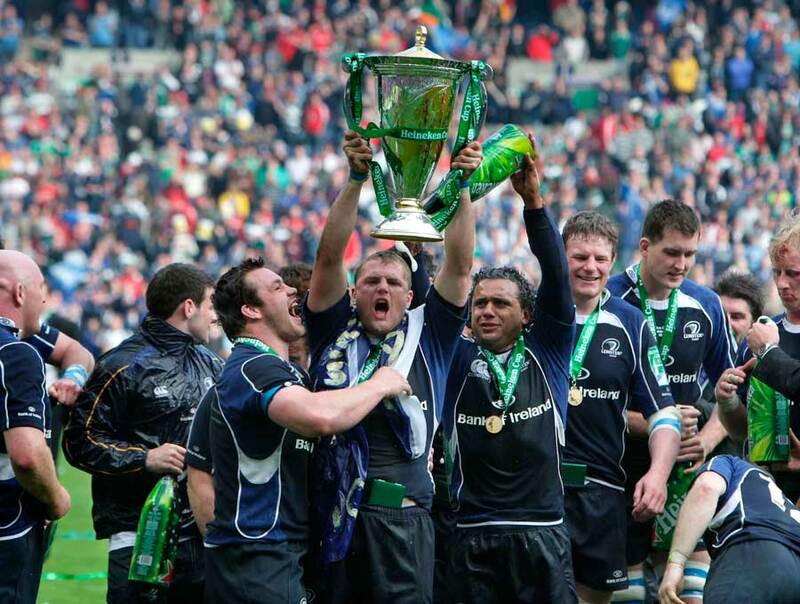 Leinster’s Cian Healy, Jamie Heaslip and Isa Nacewa celebrate with the Heineken Cup 2009. Photo Credit ©INPHO/Morgan Treacy. Stay on the path. Never compromise. Except this one time. On your first day in national camp the coach will tell you’ll never play test rugby in white boots. Change them – to get the f**king cap! – to black (with a white trim). That special moment comes alongside Stephen Ferris and Luke Fitzgerald in the last ever game at Lansdowne Road against the Pacific Islanders. Tommy Bowe has already made it. Rob Kearney is not far behind. Only Fez (Ferris) goes to the 2007 World Cup. You see, the opinion of the only man that matters, Eddie O’Sullivan, hardens to the detriment of Ireland’s ability to change up during the tournament. It doesn’t end well. Eddie has his Ireland team etched in stone. Maybe the energy you, Rob, Luke, Tommy and Fez would have brought might have altered Ireland’s fate. Maybe it all needed to happen for a Grand Slam to be delivered two years later. What I can say is that’s the moment you make a promise to yourself; be so well prepared that coaches and teammates accept you are a little different, because they know you will always prioritise the team. You’ll have allies. Like Cheika. This young Aussie coach changes the way Leinster is viewed forever. He seeks men who don’t complain, with strong personalities, who run all day and crave winning – tick those boxes and he has no problem with us blowing off steam. Eddie will not give you a fair shake. He doesn’t bother to remember your name. It’s Jamie, Eddie, Graham is the brother. It’s Jamie. See your man over there, yeah Drico, you know his name? We’ll never be the easiest person to tell bad news to. Not when it makes no sense. Pack the gear bag, key in ignition, on the motorway to Naas. You’ll remember who reaches out. Big Mal O’Kelly. Cheika. Ring the lads (all hands on deck!) into Kavanagh’s on a Monday night. A few drinks will be had. The ego takes an awful pounding. The bloody ‘size’ excuse, you know, is no longer true. You will be embarrassed, your belief system will be tested for a few days and sleepless nights. Reset, move on, because six months later you replace Simon Easterby against Italy in the 2008 Six Nations and, besides a brief dropping by Deccie at Murrayfield in 2009 when you arrive off the bench, score a try and celebrate accordingly, the next 10 years fly by. 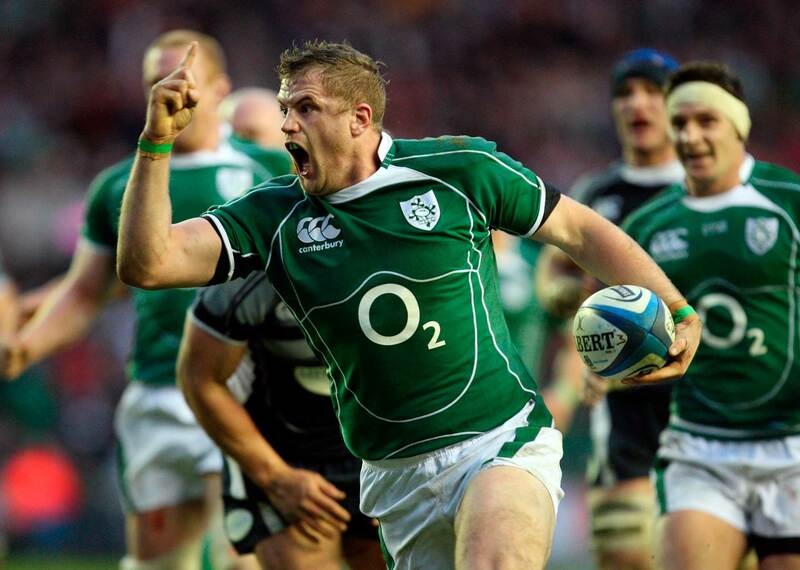 Ireland’s Jamie Heaslip scores a try during the 2009 RBS Six Nations Championship. Photo Credit ©INPHO/Dan Sheridan. 2009 was a very good year. Not going to spoil it for you. All I’m saying is we achieve the unthinkable, travel the world and win almost every game draped in blue, green and red. Almost – Every – Game. The Highveld is hell in the ultimate test series. Always be a pro’s pro by keeping those stats numbers ticking into double digits in every single game. Are we walking away satisfied? We do alright. 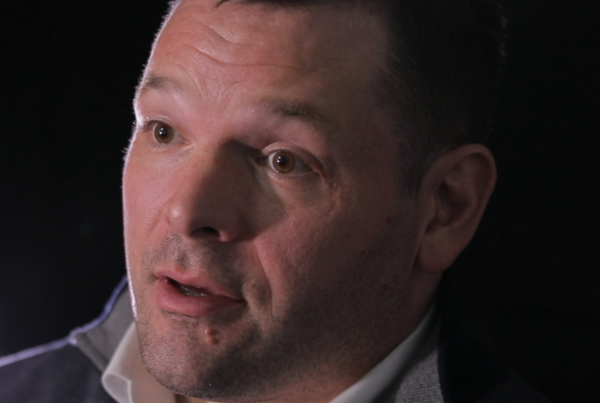 You play in three Heineken Cup finals – some crazy battles alongside our brothers. Before Leicester in Murrayfield, there’s Bloodgate at The Stoop, a minor skirmish with Munster in a packed Croke Park, hold your breath for Northampton in Cardiff, exhale for Clermont in Bordeaux and just enjoy beating Ulster in Twickenham. Days of our life. We lift every piece of silverware on offer except the William Webb Ellis trophy. Losing to Wales in 2011, when Wellington was transformed into an Irish city, is so painful it changes our perspective on the game – we stop being so goal oriented. ”Ita��s for your own sake. Disappointment heaped on top of disappointment can tear an athlete apart. Oh yeah, maybe don’t knee Richie McCaw in the head. He’ll be sprawled all over our ball but the consequences prove an unwanted milestone! Actually, go with your instinct. The best lessons come from our mistakes. Sorry Richie! They’ll come for your green jersey. You’ll relish that. Higher the stakes the better we roll. 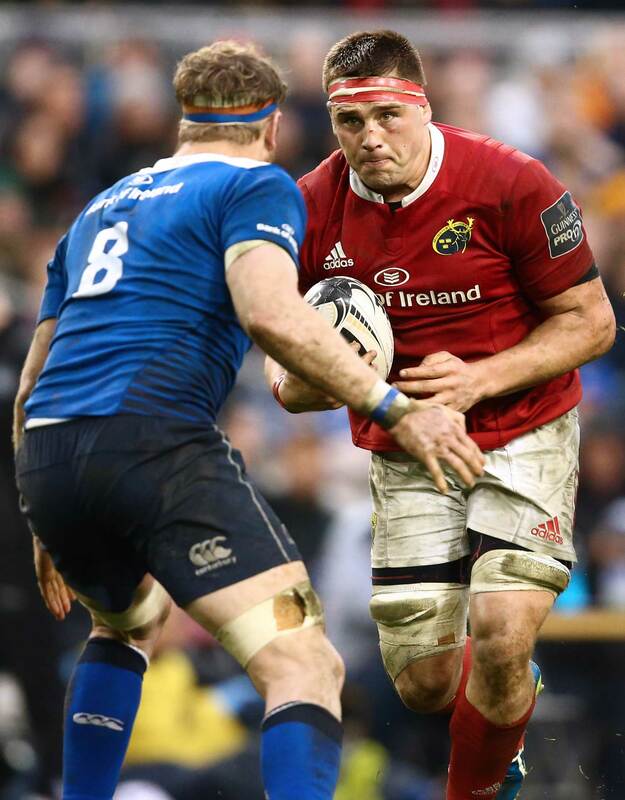 Leinster’s Jamie Heaslip and CJ Stander of Munster in the 2016 Guinness PRO12, Aviva Stadium. Photo Credit ©INPHO/James Crombie. The journey keeps going all the way until the warm-up before England in March 2017. Then, suddenly, everything stops. But that’s another story. The media? You get each other in the end. 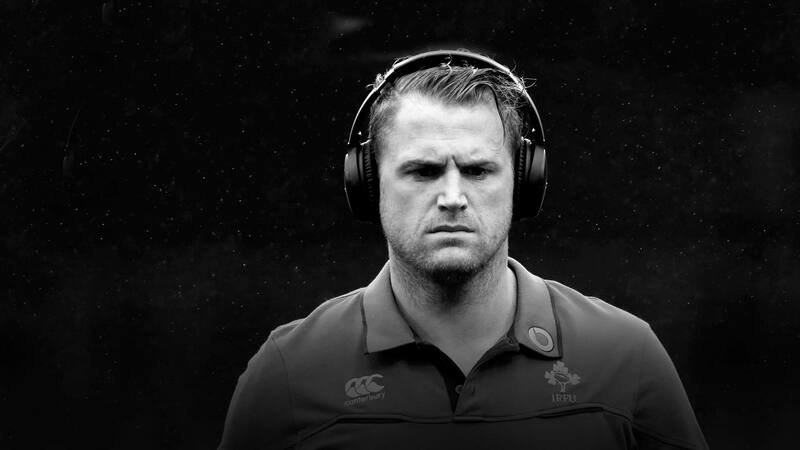 The Sports Chronicle brings you stories from the world of sport by the players, the coaches and the unsung heroes, all in their own words.A� This all began with a contribution from Jamie Heaslip, one of the greatest servants to Irish rugby,A�withA�a�?The End is Really The Beginninga�? Part 1A�andA�Part 2.A� You can also check outA�ourA�Podcast.A�Subscribe today for more.